The word “disaster” can have a few meanings. I have selected 4 of those meanings to illustrate how you can use it in conversation or writing. A sudden event, such as an accident or a natural calamity that causes great damage or loss of life. On December 11th 1993, disaster struck a small apartment block in Kuala Lumpur, the capital city of Malaysia. One of the apartment blocks of the Highland Tower complex collapsed and 48 lives were lost. There was an immediate evacuation of the remaining blocks as rescue efforts began and the area was declared unsafe. I followed the news reports from the safety of my home. Heavy rains the weeks before contributed to the landslide at the hill where the blocks were built upon. It was a horrific disaster for families who lost their loved ones so suddenly. My daughter was a few months old when this occurred and I remember holding her close to me as I read the news of the disaster that shook us so badly. 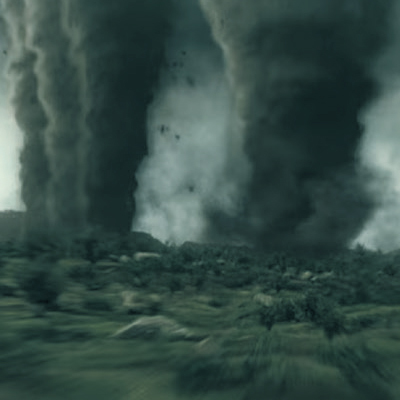 A genre of films that use natural or accidental catastrophe as the main plot and setting. A recent example of a disaster movie would be “Geostorm” where a weather-related disaster threatened mankind’s survival. Movies like these make us realise how fragile our existence can be when natural disasters strike. But in this movie humans were the cause of the disaster. When we tamper with Mother Nature and the natural course of weather patterns, we can create a disastrous outcome. In this fictional movie, a malfunction in man-made satellites created havoc on earth. These satellites were made by humans to control the weather but it ended in disaster when it backfired. This was not an accidental disaster. It was mankind’s desire for control that led to the major weather disruptions. There is a good lesson to be learnt from this movie. We must be more responsible about our fuel consumption and not contribute to the already alarming greenhouse effect around the globe. If we continue with our wasteful and indulgent ways we will not be able to prevent a natural disaster from global warming in the future.